Over the last few years here in Southend it seems like there are a lot more organised school groups about from June and into the 2 weeks of July before term ends. You’ll see, and hear, groups of children and adult helpers making their way up and down the High Street, often with high visibility tabards or tops of some kind, this year from Clifftown Road I heard what sounded like a school playground on Southend Central platform. In our local paper, The Echo, there was a piece saying C2C have calculated they’d had a record 20,000 children on school outings this year, so you can add those who travel on Greater Anglia or by coach to that. 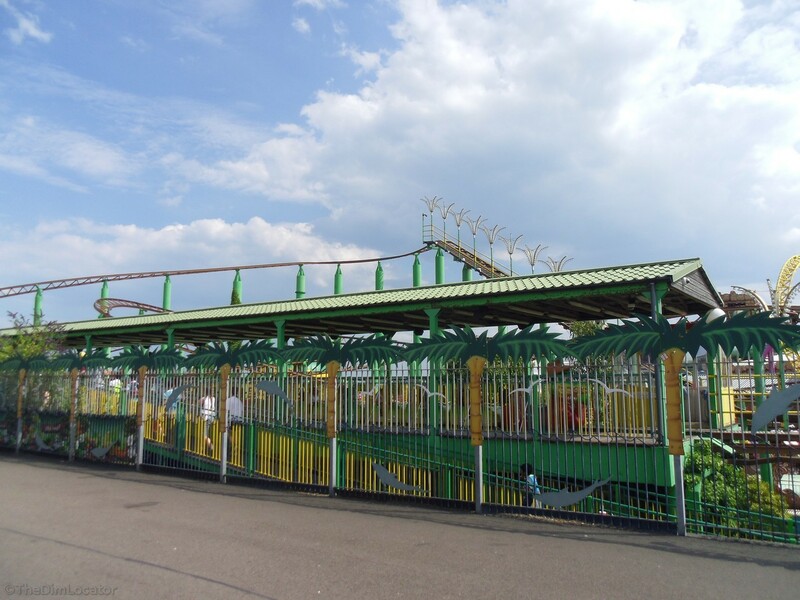 This recording is from the pavement opposite The Green Scream ride in Adventure Island, you can see in through the bars of the fence, I presume Adventure Island has some kind of all day wristband package deal available which will get them money up front and a nice stream of people passing through on a weekday workday. 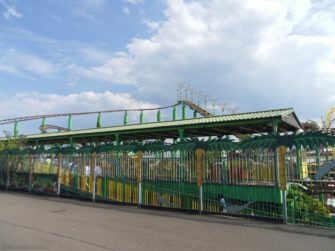 The Green Scream ride has been popular ever since it was built, it was the first decent ride like it since The Kursaal closed. I think the children are from a school in Colindale, way out in the north of Middlesex.